unvested assets don't have to be recognized as income as a safety measure for you[/epq-quote]Venture-backed startup companies are big fans of using stock options as a major compensation tool to attract and retain employees. If your company's stock value rises over the years, you can avoid two major tax issues by having exercised early. However, since you haven't actually vested your stock and assuming your company even has an early exercise option, you would technically be holding restricted stock that is subject to repurchase by the company. The IRS allows that unvested assets don't have to be recognized as income as a safety measure for you. 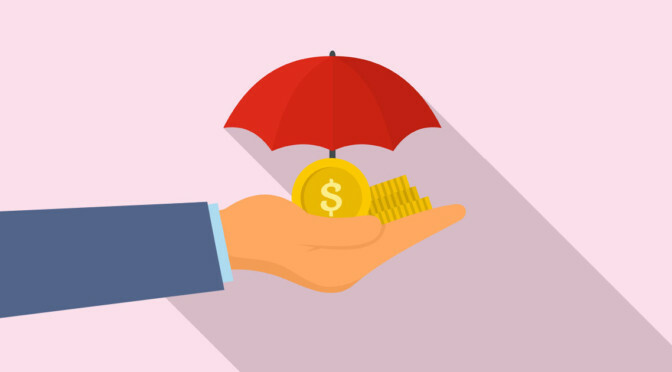 This protective measure works against if you want to recognize the taxability of your asset earlier for the purposes of long term capital gains. To avoid your investment being characterized as exercises at your subsequent vesting points instead of the day you actually exercised, you need to make an 83(b) filing with the IRS within 30 days of your early exercise date to establish your actual purchase date. By doing so, you are also agreeing to recognize the taxable value of your asset (if any) for the current tax year. If you don't, then your exercise will become taxable at the subsequent vesting dates when the Fair Market Value (FMV) is likely to be higher which results in more taxes. Filing an 83(b) with the IRS means that you are bound to consummate your intended stock purchase. The IRS isn't capable of tracking whether you actually carry that out so they simply subject you to the applicable taxation up front based on your expressed intent. However, your cost basis and the fair market value are equal up front so there shouldn't be any taxes due. The exception is if you waited some period of time before executing the early exercise and the fair market value of your company's stock at the time of exercise had risen above your option grant exercise price. Even then, you may or may not be subject to tax depending on several factors such as whether these were qualified ISOs, the implied gain in value, and your level of income. Establishing the purchase date right away also makes the stock eligible for long term capital gains (LTCG) treatment after it is held for at least one year and at least two years have elapsed since the grant date. There is up to a 20% federal tax savings associated with LTCG for people in some tax brackets as of 2017 and this savings is always at risk every time new politicians are elected. Although there is no additional tax savings for California because capital gains and ordinary income are taxed at the same rate, there are many other states that do provide an additional tax savings for LTCG. It is common for founders and early employees to get stock grants that are subject to repurchase by the company if they don't stay around long enough to vest. For these people, it is usually favorable to make an 83(b) election and pay the relatively small amount of taxes that would be due while the stock still has a low FMV. For example, a founder could get a grant of 1 million shares at a PAR Value of $0.001 per share which means they will elect to recognize $1,000 of ordinary income associated with the grant during the initial tax year. If founder's purchase their shares at par, then they invest $1000 instead of being taxed on $1000 in value. An 83(b) election is required in either case. The savings from long term capital gains can be extraordinary down the road when these same shares are sold for a high value. Moreover, Qualified Small Business Stock tax exemption of up to $10 million applies in most founder situations. If the founder's stock grant isn't subject to re-purchase then the 83(b) isn't necessary but it is common for venture capital investors to request a vesting period as a condition of investment. There is no special form for filing an 83(b) but you can download a sample from us. You are cautioned to review this with your tax advisor for compliance with your particular situation and since IRS rules are continually subject to change. Send 2 copies to the IRS along with a self-addressed stamped envelope for them to return a stamped acknowledgment. Also file one with your actual tax return in addition to keeping one copy for your records. Although this subsequent filing requirement went away in recent years to encourage e-filing, please check with your tax professional before skipping the filing. Exercising stock options early or voluntarily paying taxes on a large block of RSUs can require a lot of capital and yet the time to liquidity for your company can be quite long. Follow this link for a summary of other ways to reduce your stock option taxes. As your shares are vested, you may be tempted to sell some shares to recover your original investment or perhaps fund other financial needs. Be aware that a sale is a taxable event and it also truncates any possibility of future upside on the shares being sold. An alternative solution for partial liquidity is to get an advance from the ESO Fund. This is an attractive solution because no payments are due until a liquidity event is reached on the stock. Furthermore, if the stock becomes worthless, ESO absorbs the loss, not you. For more information, please contact us at the ESO Fund.